From Monte Buey I took two more overnight buses. The first to Cordoba and the second to San Miguel de Tucuman where the decalartion of the Argentine independence was made in 1825. John Otto Campbell sold Los Dos Hermanos after WWI and moved to Tucuman province. In his war records he had given his address as Alpachiri a small village difficult to find on any map. I hired a car and drove to Alpachiri as I believed JOC may have lived in woodland in the foothills of what is now a national park. Reaching the national park was more difficult than I had imagined and I was fortunate that the owner of the trekking lodge where I stayed insisted on accompanying me. My little car had forded a number of rivers before we reached the entrance which was already 900 mtrs above sea level. We walked into the park and relentlessly climbed for over 1.5 hrs until we reached a sign saying that la Mesada, the hut reputedly owned by JOC, was a further 9kms. A bridge too far. 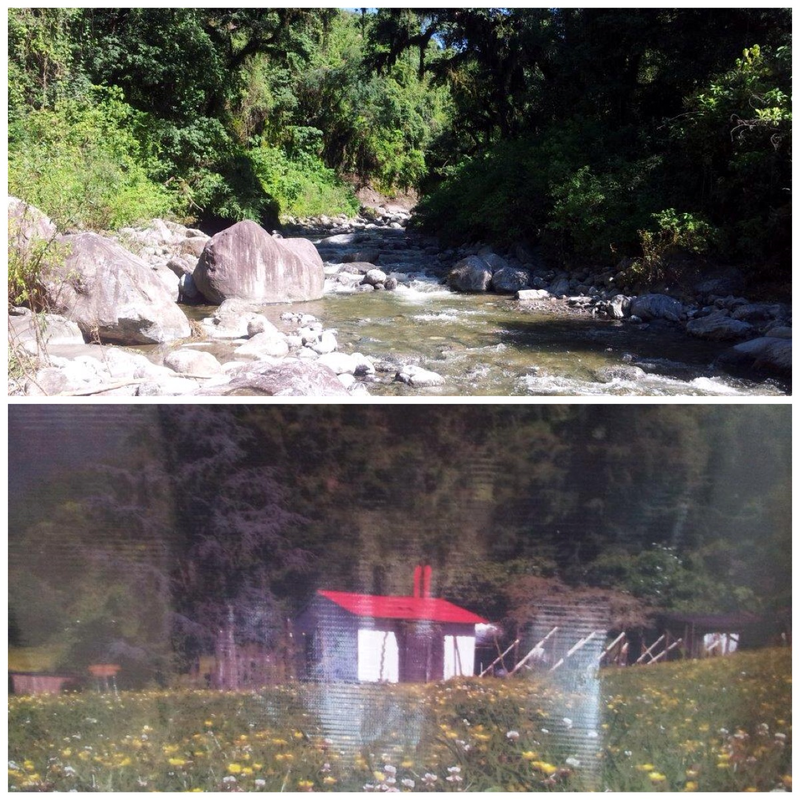 The image above shows one of several streams we had to wade through en route and the blurred image below is La Mesada taken from a poster in the rangers office. This entry was posted in Uncategorized and tagged Alpachiri, Seeking John Campbell, Tucuman. Bookmark the permalink.